Companies are increasingly dedicating their time and resources to promote their public relations initiatives. 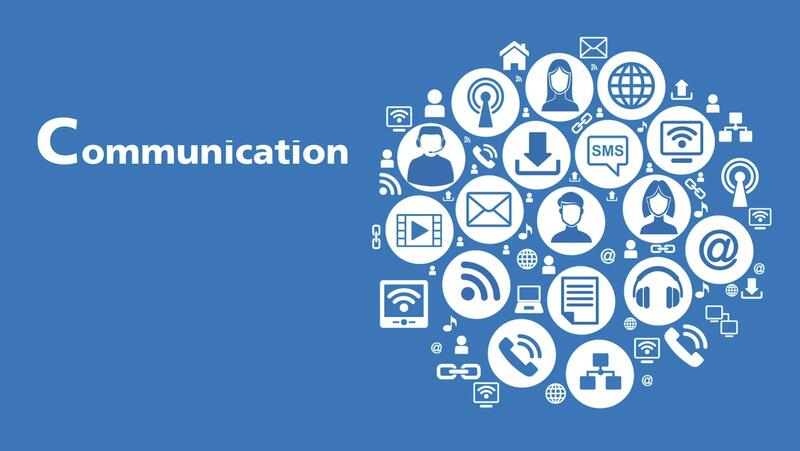 Corporate Communication Managers and executives have a wide array of media channels at their disposal. These may be used to communicate their corporate social responsibility CSR credentials. As a matter of fact, businesses are continuously being scrutinised by media, customers, monitoring groups, consumer forums and blogs (Du et al., 2010). 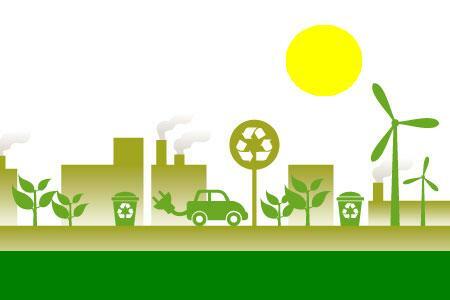 Very often, businesses disclose their CSR activities through official documents, such as annual corporate responsibility or sustainability reports, media releases, dedicated sections of their corporate websites; as well as in social media pages or groups. CSR communication is produced, translated, and integrated according to the companies’ contexts and their specific reality constructions (Schultz and Wehmeier, 2010). Companies could use broadcast advertising, including TV and radio commercials. Businesses could also utilise print media (e.g. newspapers, magazines) to disseminate their message to their target audience. Newspaper articles reflect corporate ideas of social responsibilities and assumptions about public expectations, and react herewith to what they perceive as the public’s expectations (Schultz and Wehmeier, 2010). Alternatively, they may use outdoor advertisements such as billboards and signage on brick-and-mortar premises. These traditional media are based on a hierarchical one‐to‐many communication; with a clear distinction between producer and consumer of information. Notwithstanding, there are other communication channels that are not entirely controlled by the company. For this reason, businesses are encouraged to become more proficient in the use of digital media in addition to traditional media to increase their impact of their corporate communication. Evidently, the internet has reshaped communication at different levels. It has enabled the emergence of a new participatory public sphere that is based on a many‐to‐many communication where everybody can dialogically and publicly interact and collaborate in the creation of content and the definition of the agenda (Colleoni, 2013; Jenkins, 2006). In a relatively short period of time, the internet has become an essential tool for organisational communication (Capriotti & Moreno, 2007a; Stuart & Jones, 2004). Moreover, in today’s digital era, the engagement between the public and the organisation is one of the main characteristics of the internet (Colleoni, 2013). Many corporate websites already possess a high degree of interactivity; including their ability to disseminate information and to generate relationships between the different publics and the organisation (Capriotti & Moreno, 2007). In the first approach, the level of interactivity is low, and the use of the Internet is unidirectional; as its essential objective is to diffuse information and to try to improve the corporate image of the business. However, in the second approach, the degree of interactivity is high, and the Internet is used to facilitate bidirectional communication and to nurture relationships by allowing dialogue and interaction between the organisation and its stakeholders. Interactive communication is becoming one of the most important information channels for corporations as it is changing social dynamics (Fieseler & Fleck, 2013; O`Reilly, 2005; 2006). Web-based co‐operation and data exchanges have empowered the communication between businesses and their stakeholders (Buhalis & Law, 2008; O´Riley, 2006, Fieseler et al., 2010). It enables them to engage with online users and to take advantage of positive publicity arising from word-of-mouth marketing and digital platforms. Corporations can maintain legitimacy better as they engage with stakeholders via social media; and take on the gate keeping function of traditional media (Fieseler et al. 2010). At the same time, there are protest actors; who have become more powerful online as they disrupt the corporations’ legitimacy by using social media (Castelló, Morsing & Schultz, 2013; Bennett 2003). Societies are currently undergoing a fundamental transformation toward globally networked societies (Castelló, Morsing, & Schultz, 2013). Unsurprisingly, the public relations and corporate communications of business have benefited of social networking software (Etter, Morsing, and Castello, 2011; Pressley (2006). Of course, these technological advances also have consequences for CSR communication; as companies can reach out to stakeholders in a more interactive way. In a similar vein, the use of social networks have offered the businesses new forms of interactivity and enable them to address the CSR information toward a variety of stakeholders (Isenmann, 2006). A powerful stakeholder group, the consumers serve as an informal yet highly credible CSR communication channel. In particular, the power of consumer word-of-mouth has been greatly magnified given the popularity and vast reach of interactive communication. Companies such as Stonyfield Farm and Ben & Jerry’s have been benefiting from consumer ambassadors who raved, in the virtual world, about their social responsibility endeavours. For example, one consumer wrote enthusiastically about Ben & Jerry’s butter pecan ice cream and its support for an educational foundation, ‘besides the great flavour that the Ben & Jerry’s Butter Pecan Ice Cream offers you, a portion of the proceeds go to the Tom Joyner Foundation . . . [that] provides financial support to students attending historically black colleges and universities’ (Associated Content 2008). Companies can be proactive in using social media to engage consumers to be their CSR advocates. Timberland, a company that is known for its environmental stewardship, launched the Earthkeeper campaign in 2008 to recruit one million people to become part of an online network designed to inspire real environmental behaviour change. As part of the Earthkeeper programme, Timberland launched an innovative global network of online social networking tools, including a strong Facebook presence, a YouTube Earthkeeper Brand Channel and a richly populated Earthkeeper blog, as well as an Earthkeeper product collection which serves as the pinnacle expression of the company’s environmental commitment (CSRWire 2008). Through this campaign, Timberland not only effectively communicating its sustainability initiative, but also engaging consumers to spread the word about this initiative and, importantly, the company’s involvement in this initiative. Fieseler et al. (2010) suggested that communication through social media is dynamic in relation to traditional media. The global diffusion of social software like blogs, RSS feed, wikis, electronic forum, social networks have facilitated companies to attract prospects and consumer groups. Social media have the technological potential to speed up communication processes (Kaplan & Haenlein, 2010) and to increase direct interaction, dialogue and participation across organisations and various audiences (Colleoni 2013; Schultz et al. 2011). Such interactive communications are referred to as “viral” because ideas and opinions spread like epidemic diseases through the network via word‐of‐mouth and are perceived as highly trustworthy sources (Colleoni et al., 2011; Schultz and Wehmeier, 2010). Accordingly, social media has transformed the communicative dynamics within and between corporations and their environment. Social media networks are effective monitoring tools as they could feature early warning signals of trending topics. These networks may help business communicators and marketers identify and follow the latest sustainability issues. Notwithstanding, CSR influencers are easily identified on particular subject matters or expertise. For example, businesses and customers alike have learned how to use the hashtag (#) to enhance the visibility of their shareable content16 (Some of the most popular hashtags comprise: #CSR #StrategicCSR, #sustainability, #susty, #CSRTalk, #Davos2016, #KyotoProtocol, #SharedValue et cetera). Hashtags could be used to raise awareness on charities, philanthropic institutions and green non-governmental organisations. They may also help during fund raising events. Hence, there are numerous opportunities for businesses to leverage themselves through social networks as they engage with influencers and media. In addition, Pinterest and Instagram enable their users to share images, ideas with their networks. These social media could also be relevant in the context of the sustainability agenda. Businesses could illustrate their CSR communication to stakeholders through visual and graphic content. Evidently, these innovative avenues provide sharable imagery, infographics or videos to groups who may be passionate on certain issues, including CSR. Moreover, digital marketers are increasingly uploading short, fun videos which often turn viral on internet. YouTube, Vimeo and Vine seem to have positioned themselves as important social media channels for many consumers, particularly among millennials. These sites offer an excellent way to humanise or animate CSR communication through video content. These digital media also allow their users to share their video content across multiple networks. For instance, videos featuring university resources may comprise lectures, documentaries, case studies and the like. This contribution suggests that corporate communications managers and executives are in a position to amplify the effectiveness of their company’s CSR communication efforts. They are expected to create relevant content and to engage with stakeholders through different marketing communications channels. This contribution maintains that it is in the private sector’s interest to actively participate in reconceiving education for societal well being. It posits that there are win-win opportunities for companies and national governments as they cultivate human capital. Indeed, companies can create synergistic value for both business and society. Such a strategic approach can result in new business models and cross-sector collaborations that will inevitably lead to operational efficiencies, cost savings and significant improvements to the firms’ bottom lines. The CSR initiatives in education can also help organisations to improve the recruitment and retention of talented employees. This paper has reported that employees want to be part of organisations that genuinely demonstrate their concern for society. There was mention of strategic philanthropic initiatives that manifest corporate behaviours that also satisfy much of the stakeholders’ aspirations. Organisations can always make use effective CSR communications to attract the best employees and talent pool from the labour market. Ideally, businesses ought to treat employees as internal customers as it is critical for their long term success. In a sense, the organisational culture and its commitment for CSR engagement can play an integral role, in this regard. In fact, CSR and environment sustainability issues are increasingly becoming ubiquitous practices in different contexts, particularly for the youngest work force. 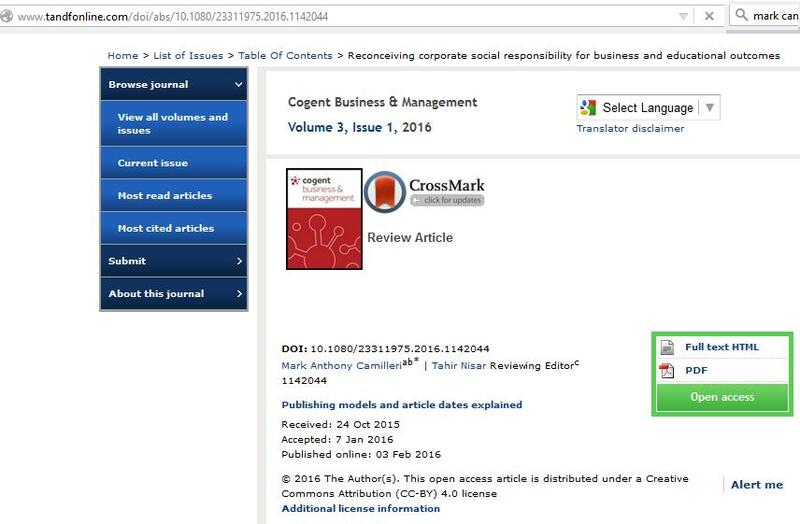 This research indicated that there is a business case for corporate sustainable and responsible behaviours. Besides, minimising staff turnover, CSR may lead to systematic benefits including employee productivity, corporate reputation and operational efficiencies. This implies that CSR is an antecedent for an optimal financial performance (towards achieving profitability, increasing sales, return on investment et cetera). At the same time, the businesses’ CSR engagement could create significant value to society as well. The corporations’ involvement in setting curricula and relevant course programmes may also help to improve the effectiveness of education systems across many contexts. It is imperative that businesses become key stakeholders in the provision of education and training. There is a possibility that CSR programmes could reconnect the businesses’ economic success with societal progress. Proactive companies who engage in strategic CSR behaviours could uncover new business opportunities (Lauring and Thomsen, 2008) and achieve competitive advantage (Porter and Kramer, 2006). Indeed, businesses are in a position to nurture employees by enhancing their knowledge and skill sets. This will inevitably lead to more competent staff and to significant improvements in work productivity among other benefits. CSR can be reconceived strategically for business and educational outcomes. This research has given specific examples of how different organisations were engaging in responsible behaviours with varying degrees of intensity and success. It has identified cost effective and efficient operations. It reported measures which were enhancing the human resources productivity. Other practices sought to engage in philanthropic practices and stewardship principles. Indeed there are positive outcomes that represent a leap forward for the CSR agenda. This contribution reiterated that it is in the businesses’ self-interest to maintain good relations with employees. 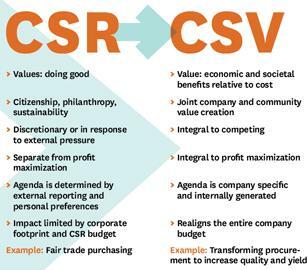 Evidently, there is more to CSR than public relations, greenwashing and posturing behaviours. Businesses need to engage with stakeholders and to forge long lasting relationships with them. Corporate responsible behaviours bring reputational benefits, enhance the firms’ image among external stakeholders and often lead to a favourable climate of trust and cooperation within the company itself (Herzberg et al., 2011). A participative leadership will also boost the employees’ morale and job satisfaction. This will also lead to lower staff turnover rates and greater productivity levels in workplace environments (Fida et al., 2014). Notwithstanding, there are many businesses that still need to align their organisational culture and business ethos in order to better embrace responsible behavioural practices. Governments also have an important role to play. They can take an active leading role in triggering corporate responsible behaviours in education. Greater efforts are required by policy makers, the private sector and other stakeholders. The governments could give reasonable incentives (through financial resources in the form of grants or tax relief) and enforce regulation in certain areas where responsible behaviour is necessary. They need to maintain two-way communication systems with stakeholders. This paper posited that the countries’ educational outcomes and their curriculum programmes should better respond to the employers’ requirements. Therefore, educational programmes ought to instil students with relevant knowledge and skills that are really required by business and industry. Several governments, particularly those from developing nations ought to step up with their commitment to develop new solutions to help underprivileged populations and subgroups. New solutions could better address the diverse needs of learners and prospective employees. This research indicated that there is scope for governments to work in collaboration with corporations in order to improve the employability of tomorrow’s human resources. It must be recognised that there are various forms of businesses out there, hailing from diverse sectors and industries. In addition, there are many stakeholder influences, which can possibly affect the firms’ level of social responsibility toward education. It is necessary for governments to realise that they need to work alongside business practitioners in order to reconceive education and life-long learning for all individuals in society. The majority of employers that were mentioned in this research were representative of a few corporations that are based in the most developed economies. Yet, there could be different CSR practices across diverse contexts. Future research could consider different sampling frames, methodologies and analyses which may yield different outcomes. This contribution has put forward the ‘shared value’ approach in education (Camilleri, 2014; Porter and Kramer, 2011). It is believed that since this relatively ‘new’ proposition is relatively straightforward and uncomplicated, it may be more easily understood by business practitioners themselves. In a nutshell, this synergistic value notion requires particular focus on the human resources’ educational requirements. At the same time, ‘shared value’ also looks after the stakeholders’ needs (Camilleri, 2015). This promising concept could contribute towards bringing long term sustainability by addressing economic and societal deficits in the realms of education. A longitudinal study in this area of research could possibly investigate the long term effects of involving the business and industry in setting curriculum programmes and relevant learning outcomes. Presumably, shared value can be sustained only if there is a genuine commitment to organisational learning for corporate sustainability and responsibility, and if there is the willingness to forge long lasting relationships with key stakeholders. • Enhancement of collaborations and partnership agreements between governments, business and industry leaders, trade unions and civil society. There should be an increased CSR awareness, continuous dialogue, constructive communication and trust among all stakeholders. • National governments ought to create regulatory frameworks which encourage and enable the businesses’ participation in the formulation of educational programmes and their curricula. • Policy makers should ensure that there are adequate levels of performance in areas such as employee health and safety, suitable working conditions and sustainable environmental practices among business and industry. The concept of creating business value is not new to academia. Wheeler et al. (2003) came up with a simple framework for the creation of value. They reconciled the concepts of corporate social responsibility and sustainable development (or sustainability) with a stakeholder approach. They held that the reputational and brand value were good examples of intangible value. Although, they failed to relate reputation and branding to economic value over the long term, they came up with a business model in their value creation approach. Their sustainability model embraced the concepts of CSR, corporate citizenship and the stakeholder theory (Wheeler et al. 2003). 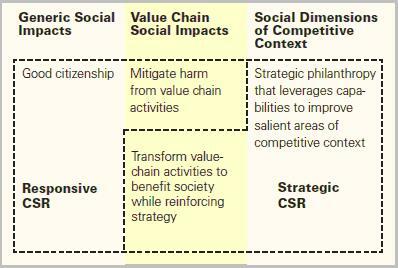 In a similar vein, Porter and Kramer (2006) claimed that the solution for CSR lies in the principle of ‘shared value’. According to Porter and Kramer (2011), the businesses are in the best position to understand the true bases of their company productivity. It is in their interest to collaborate across profit and non-profit boundaries. Porter and Kramer (2011) gave relevant examples of how efficient processes are aimed at adding value to the firm and to society at large. The authors explained that the creation of shared value focuses on identifying and expanding the connections between societal and economic progress. A shared value proposition requires particular areas of focus within the businesses’ context (workplace) as well as looking after society’s interests (comprising the environment, marketplace and the community) for the firm’s self-interest. The enterprise’s performance must be continuously monitored and evaluated in terms of its economic results. Creating Shared Value (CSV) is about embedding sustainability and corporate social responsibility into a brand’s portfolio. 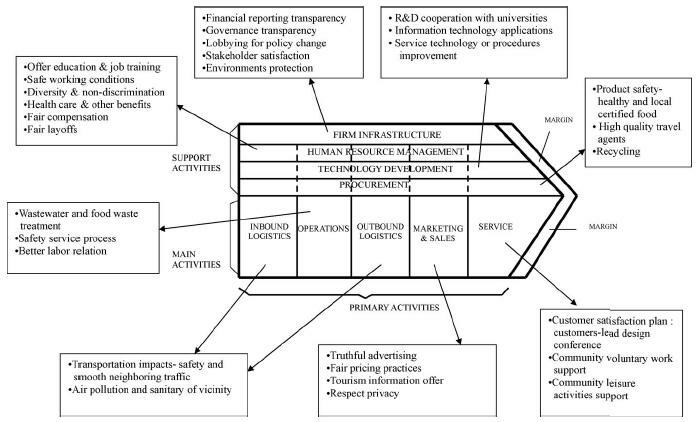 All business processes in the value chain (Porter, 1986) operate in an environmental setting within their wider community context. Porter and Kramer (2011) held that this new approach has set out new business opportunities as it created new markets, it improved profitability and has strengthened the competitive positioning. Crane and Matten (2011) admitted that Porter and Kramer (2011) have once again managed to draw the corporate responsibility issues into the corporate boardrooms. Crane and Matten (2011) had words of praise for the ‘shared value’ approach as they described the term as compelling and endearingly positive. Elkington (2012) argued that sustainability should not be consigned to history by Shared Value. The author recognised that Porter and Kramer’s shared value proposition is undeniably a key step forward in corporate strategy. Yet he maintained that shared value can play a key role in destroying key resources, reducing the planet’s biodiversity and destabilising the climate. Then Elkington (2012) went on to say that Porter reduced corporate sustainability to resource efficiency. Eventually, Crane, Palazzo, Spence and Matten (2014) have also critiqued Porter and Kramer’s (2011) shared value proposition. They argued that this concept ignored the tensions that were inherent to responsible business activity. They went on to suggest that shared value is based on a shallow conception of the corporation’s role in society. Eventually, Porter and Kramer (2014) admitted that “shared value” cannot cure all of society’s ills as not all businesses are good for society nor would the pursuit of shared value eliminate all injustice. However, Porter and Kramer defended their (2011) proposition as they argued that they had used the profit motive and the tools of corporate strategy to address societal problems. Crane and Matten blog (2011). Url: http://craneandmatten.blogspot.com/ accessed on the 15th April 2012. Crane, A., Palazzo, G., Spence, L. J., & Matten, D. (2014). Contesting the value of the shared value concept. California Management Review, 56, 2. Porter, M.E. (1986). Competition in Global Industries. Harvard Business School Press, Boston. Porter, M.E. and Kramer, M.R. (2006). Strategy and Society: The Link Between Competitive Advantage and Corporate Social Responsibility. Harvard Business Review, (December 2006), pp. 78-92. Porter, M.E. and Kramer, M.R. (2011). Creating shared value: How to reinvent capitalism – and unleash a wave of innovation and growth. Harvard Business Review, (January/February), pp. 62-77. Wheeler, D., Colbert, B. and Freeman, R.E., (2003). Focusing on value: Reconciling corporate social responsibility, sustainability and a stakeholder approach in a network world. Journal of General Management 28(3), pp. 1-28. Abstract: This paper maintains that responsible tourism practices can be re-conceived strategically to confer competitive advantage. 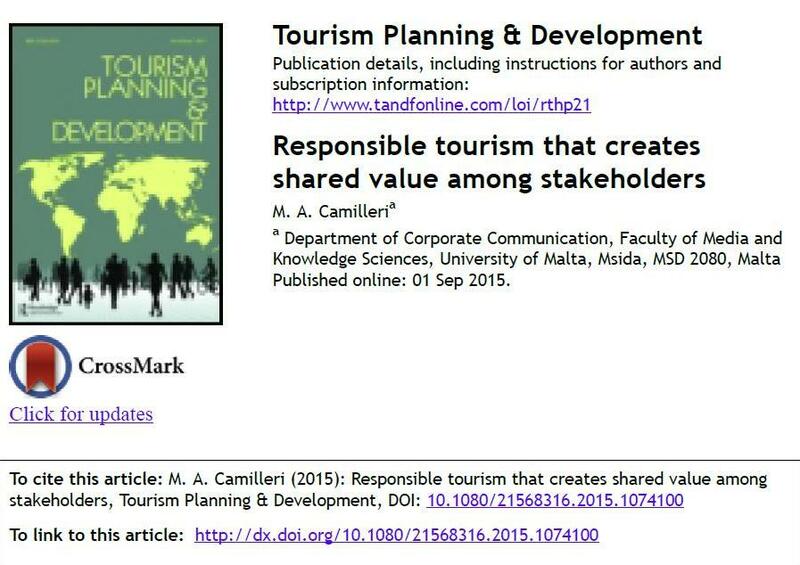 It looks at the extant literature surrounding the notions of “responsible tourism” and “shared value”. A qualitative research involved in-depth, semi-structured interview questions to discover the tourism and hospitality owner–managers’ ethos for responsible tourism. Secondly, telephone interviews were carried out with tourism regulatory officials. The findings have revealed that discretionary spending in socially and environmentally sound, responsible policies and initiatives can create shared value among tourism enterprises and their stakeholders. In a nutshell, this paper indicates that responsible tourism led to improved relationships with social and regulatory stakeholders, effective human resources management, better market standing, operational efficiencies and cost savings, along with other benefits. Adapted from my chapter, entitled; “Reconceiving CSR programmes in Education” in Academic Insights and Impacts (Springer, Germany). CSR and sustainability issues are increasingly becoming ubiquitous practices in different contexts, particularly among the youngest work force. This contribution suggests that there is a business case for responsible behaviours. Besides, minimising staff turnover, CSR may lead to strategic benefits including employee productivity, corporate reputation and operational efficiencies. Therefore, CSR can be the antecedent of financial performance (towards achieving profitability, increasing sales, return on investment et cetera). Notwithstanding, the businesses’ involvement in setting curricula may also help to improve the effectiveness of education systems across many contexts. Businesses can become key stakeholders in this regard. Their CSR programmes can reconnect their economic success with societal progress. They could move away from seeking incremental gains from the market . Proactive companies who engage in CSR behaviours may possibly take fundamentally different positions with their stakeholders – as they uncover new business opportunities. This contribution showed how businesses could inspire their employees, build their reputations in the market and most importantly create value in education. This movement toward these positive outcomes may represent a leap forward in the right direction for global education. (Herzberg et al., 2011). This chapter reported that participative leadership will boost the employees’ morale and job satisfaction which may often lead to lower staff turnover and greater productivity in workplace environments. However, it also indicates that there are many businesses that still need to realise the business case for responsible behaviours. Their organisational culture and business ethos will inevitably have to become attuned to embrace responsible behavioural practices. Governments may also have an important role to play. The governments can take an active leading role in triggering corporate responsible behaviours in the realms of education. Greater efforts are required by governments, the private sector and other stakeholders to translate responsible behaviours into policies, strategies and regulations. Governments may give incentives (through financial resources in the form of grants or tax relief) and enforce regulation in certain areas where responsible behaviour is necessary. The governments ought to maintain two-way communication systems with stakeholders. The countries’ educational outcomes and curriculum programmes should be aligned with the employers’ requirements (Walker and Black, 2000). Therefore, adequate and sufficient schooling could instil students with relevant knowledge and skills that are required by business and industry (Allen and De Weert, 2007). The governments should come up with new solutions to help underprivileged populations and subgroups. New solutions could better address the diverse needs of learners. This chapter indicated that there is scope for governments to work in collaboration with corporations in order to nurture tomorrow’s human resources. It must be recognised that there are various business operations, hailing from diverse sectors and industries. In addition, there are many stakeholder influences, which can possibly affect the firms’ level of social responsibility toward education. It is necessary for governments to realise that it needs to work alongside with the business practitioners in order to reconceive education and life-long learning. The majority of employers that were mentioned here in this chapter; were representative of a few businesses that hailed from the developed economies. There can be diverse practices across different contexts. Future studies could investigate the methods how big businesses are supporting education. Future research on this subject could consider different samples, methodologies and analyses which may obviously be more focused and will probably yield different outcomes. However, this contribution has puts forward the shared value’ approach. It is believed that since this relatively ‘new’ concept is relatively straightforward and uncomplicated, it may be more easily understood by business practitioners themselves. 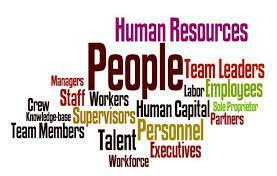 In a nutshell, this synergistic value proposition requires particular focus on the human resources’ educational requirements, at the same time it also looks after stakeholders’ needs (Camilleri, 2015). This notion could contribute towards long term sustainability by addressing economic and societal deficits in education. A longitudinal study in this area of research could possibly investigate the long term effects of involving the business and industry in setting curriculum programmes in education. Presumably, shared value can be sustained only if there is a genuine commitment to organisational learning for corporate sustainability and responsibility, and if there is a willingness to forge genuine relationships with key stakeholders. This contribution contends that the notion of shared value is opening up new opportunities for education and professional development. Evidently, there are competitive advantages that may arise from nurturing human resources. As firms reap profits and grow, they can generate virtuous circles of positive multiplier effects. Many successful organisations are increasingly engaging themselves in socially responsible practices. There are businesses that are already training and sponsoring individuals to pursue further studies for their career advancement (McKenzie and Woodruff, 2013; Kehoe and Wright, 2013; Hunt and Michael, 1983). It may appear that they are creating value for themselves as well as for society by delivering relevant courses for prospective employees. In conclusion, this chapter puts forward the following key recommendations to foster an environment where businesses become key stakeholders in education. National governments ought to create regulatory frameworks which encourage and enable the businesses’ participation in the formulation of educational programmes and their curricula. Allen, J., & De Weert, E. (2007). What Do Educational Mismatches Tell Us About Skill Mismatches? A Cross‐country Analysis. European Journal of Education, 42(1), 59-73. Hunt, D. M., & Michael, C. (1983). Mentorship: A career training and development tool. Academy of management Review, 8(3), 475-485. McKenzie, D., & Woodruff, C. (2013). What are we learning from business training and entrepreneurship evaluations around the developing world?. The World Bank Research Observer, lkt007. Walker, K. B., & Black, E. L. (2000). Reengineering the undergraduate business core curriculum: Aligning business schools with business for improved performance. Business Process Management Journal, 6(3), 194-213.